Day in a life of a Mum with 3 children and loves to read. I am lucky enough to be able to participate in this awesome tour which is being hosted by Missy Reads & Reviews and review Double Clutch. If you would like to read my review, please click HERE. Below is the guest post supplied by the wonderful Liz Reinhardt. I recently wrote a YA contemporary romance, Double Clutch. When I wrote it, I thought back a lot on my past experiences with love, especially in high school. But I was a seasoned pro by the time high school rolled around! Because my issues with boys started when I was in kindergarten, and they were surprisingly complicated back then! Please enjoy my tale of my first catastrophic brush with romance, in which I sacrifice a boy's honor for snacks. Wow. It's weird how much that still sounds like grown-up me! Kindergarten was a place of bright construction paper, daily weather updates on the sacred weather wheel, more blocks than twenty-odd kids could ever play with sanely, and...arranged romance. Okay, maybe not arranged 'romance' in the traditional 'we'd like you to eventually take vows' sense of the word, but there was a definite enforced link between a boy and a girl that lasted for the ten minutes it took to walk from the Kindergarten classroom to the downstairs refrigerator and back up to the sunny kindergarten room. And it could be a relationship changer. It was for me and Jimmy V.
It all LOOKS so innocent and cheerful...but love was won in lost in a classroom that looked very much like this one! Jimmy V. and Missy B. were my two best buddies in kindergarten. Missy and I both loved My Little Ponies, Madonna, and had long hair. Jimmy and I both hated turtlenecks, thought Lori M. was too bossy, and...there wasn't much else. But, really, what more could you ask for in a friendship when you're five? They do, trapped cat. Or, they did. I no longer have such intense emotions about them. And I bet Lori M. really was a nice girl. I was kind of a judgmental 5-year-old. In my kindergarten classroom, Mrs. H had a board with pink laminated hearts. On one side of the board were the names of all the girls; on the other side were the names of all the boys (who stomped their little macho feet over having their names on pink laminated hearts). Each day, Mrs. H. would pull one boy's and one girl's name and those two would be instructed to hold hands and go on a long, romantic journey. To get the milk for snack time. I still think of romance when I see milk cartons to this day! On the fateful day, Mrs. H. approached the board with her usual good cheer and pulled two names. Mine and Jimmy's. We were to go together and get the milk, and I was happy (though I was, by all accounts, a pretty happy kid no matter what). Jimmy was less happy. It seemed that our mutual dislike of turtlenecks and Lori M. wasn't enough to combat Jimmy's upset over what he considered to be a great injustice; I was the regular class caboose. I realized he was sulky over my place in line, but I was a five-year-old Amazon, and Mrs. H. always said the tallest person had to be at the back of the line. Anyway, it wasn't always me. Sometimes Lori M. wore her heeled penny-loafers and ousted me as the caboose. But Jimmy wouldn't listen to reason, and, to add insult to injury, he had a broken arm and wasn't allowed to play on the monkey bars at recess. The day was doomed from the beginning. We made the long trek down the stairs, to the basement, and knocked on the door behind which lived a gruff old janitor. He was the man who would ask how many students in our class needed milk, then hand us a long, wooden carrier with the cartons. The carrier was made for two sets of little hands to carry, but there was a secret rebellion going on in Mrs. H.'s kindergarten class. Maybe it was rebellion against having their names on pink laminated hearts, but the boys in class had taken to lugging the carrier back upstairs without any assistance from the girls. It was dangerous and risky, but since there had been no milk carton casualties, Mrs. H. turned a blind eye. Milk and hearts...somehow they do make sense together. It was still a hard pill for the boys in my class to swallow! "Let me help, Jimmy. You can't carry it. You only have one good arm," I pointed out. Jimmy scowled and yanked the carrier handle out of my reach. "Jimmy, c'mon. You're gonna drop the milks!" 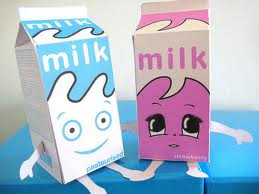 I cried, as milk cartons wobbled and jerked in their shallow container. Jimmy tried to run, but his broken arm threw him off balance. I knew those milks were going to wind up on the floor. Jimmy was going to fall and get hurt. Mrs. H. might write our names on the blackboard, under a frowny face! These were desperate times, and they called for desperate measures! I ran after Jimmy, snatched the wooden carrier, pushed him back a few steps, and ran to the classroom, milks intact, relief on my face. Until I saw Jimmy, storming after me. Mrs. H. looked confused, but Jimmy knew better than to tattle and get us both in trouble. If only Jimmy had listened to me! I could have let him bring it into the classroom and saved face. But, NO, he had to ignore me, and look what happened! At recess, the milk rebellion was the talk of the classroom. I had won admiration from some of the girls who longed to carry the milk up the stairs themselves, but those who were more admiring of chivalry frowned at my attempt to usurp the boys from their power position. The boys were pouty and suspicious, uncertain what their place would be if every girl decided she could suddenly run off with the milks. But what hurt the most was Jimmy's anger. I had wounded him. Deeply. I had stripped him of his only defense against having his name on pink laminated heart, and their was no room for me when he played blocks. An ugly rumor that I had cooties got spread around, and no amount of circle-circle-dot-dots cured the cootie virus. Jimmy looked smug. It was an epidemic, and I was the root! Luckily, the attention span in my classroom was very short, and my cootie outbreak only lasted until the next paste-eater got a scolding from Mrs. H...and we used a lot of apparently delicious paste in my classroom. By the time kindergarten was over and summer came and went, Jimmy was a long distant memory. He was in an entirely different first grade class, a whole hall away! We met once in a while across Red Rover lines, and it was bittersweet at best, and I decided to close my heart to romance and focus on double digit subtraction, which I was failing miserably. I had no more time for romance! 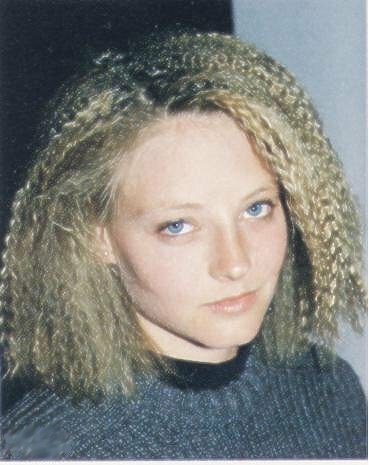 And I remained stalwartly anti-boy until fourth grade, when Mike A. swept into my life and made me want to crimp my hair every day! If you're interested, I'll be sharing that sad, sad tale of my first broken heart with Shilpa at smmirza.blogspot.com on the 16th! Thank you so much to Katie for allowing me to share my first love story on her lovely blog! Yep. There really was a time people did this everyday because they thought it looked cool! How awesome was that post from Liz Reinhardt, if only love was as simple as a teenager or even adulthood. Thank you Liz for a lovely trip down memory lane. Liz is also offering her book in a giveaway on this post. It will be an eBook, so therefore open internationally. Please leave a post comment to enter and the winner will be drawn on 21st November 2011 and notified by email. Thank you for having me, Katie! Poor Jimmy V...I hope he got over it! Haha! And love really did get so much more complicated after kindergarten! ;)! But that's okay...if love was easy, what would YA romance writers have to write about? What a great story. We all have one of those memories in our past. My kindergarten love story was two boys who chased me around during recess. I think Jimmy got an early education that being macho just gets you a strong woman who will get her own way no matter what. Thanks for sharing and having me on your blog Katie. breeanaputtroff - Thank you! That's really sweet of you to say ;)! Dee - You were obviously very much more the smooth operator in kindergarten than I was ;)! I had the boys running in the opposite direction and yelling that I had cooties! I do NOT think they appreciated my lesson in equal opportunity for the genders ;)! Roro - Thank you! I'm so glad you kicked it off for us ;)! Amanda - I always sensed there was a connection between us! It was our early cootie infestation ;)! I'm glad you kicked him for trying to nab a kiss! Especially when you were napping (I hate having my sleep interrupted!). But I love that you wound up dating in high school! Cooties sometimes lead to love! Katie has completed her goal of reading 125 books in 2014! 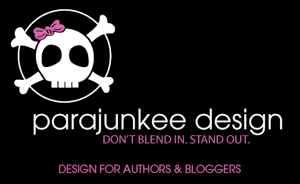 Copyright © 2012 Turner's Antics Blogger Design by Parajunkee Design.